This is a good development and kudos to Gencon. It’s clear from the article that Gencon and other entities are using their power and influence to effect positive changes. 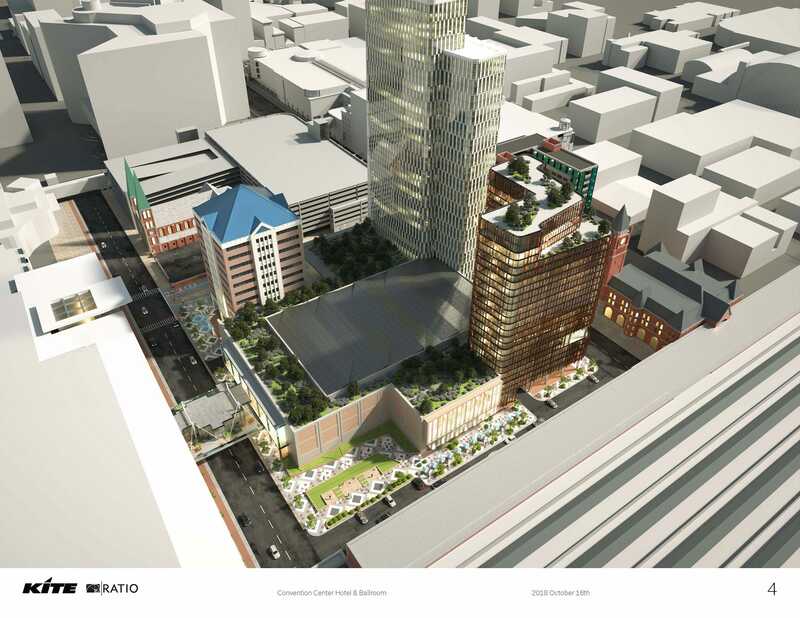 The city knows what is needed is not just more space, but more downtown hotels. Not only for Gencon but for 200+ conventions. Gencon should keep doing their “yearly” renewal as long as positive changes are made. It seems to be working. The Developer does not own the entire property. There is a lone hold out. 800 of the new 1400 rooms are luxury, so think Conrad and Alexander pricing 4400-$500 a night. Someone clarify this for me. "the northeast corner of the plaza at Illinois and Georgia streets." So they mean the the SW corner of Illinois and Georgia right? That's the plaza I believe. I was reading this and looking at a map and the NE corner of that intersection is were Harry and Izzy's is (and the mall I believe), and I doubt that is going away. If I am understanding these right, they would be between the ICC and the Omni making them compete with the Crowne as the closest hotels to the dealer hall. Also as I was looking at google maps I saw a business pop up called Good Games Indy. I don't remember ever seeing this. Its on Meridian next to the Hampton. Anyone know anything about it? I was surprised I didn't hear about it leading up to Gen Con. Andrewj.rager, you can see renderings/maps here. Good Games has been around for a couple years and is a nice store. They were even a Gen Con exhibitor this year. From the photo and the article, sounds like we are losing the Pan-Am parking there. That is a hit. So good, will actually be some nice rooms to stay at for those of us willing to pay the price. This. This is definitely a downside. Parked two vehicles there from Wednesday through Monday morning. Convenient. The hotels will most likely build parking structures under them I would think. The IBJ article said they'd have to raze the underground parking structure and build a "pedestal" to support the ballroom and hotels. Not sure it will also be possible to build underground parking as well... it may be that you need solid concrete structure to bear the weight of buildings that tall. yeah the Conrad still sells out every year despite the price. People will still book those rooms. I imagine they will address the issue of the lost parking spaces somehow. They need space for their own guests to park after all. Building underground parking beneath large buildings is routine. The old World Trade Center had parking beneath the towers. That's where they parked the truck with explosives in the 1993 bombing.